Source: Health Sector Indicators 2016. XVI Roundtable for Health Coordination. There are no more data available. 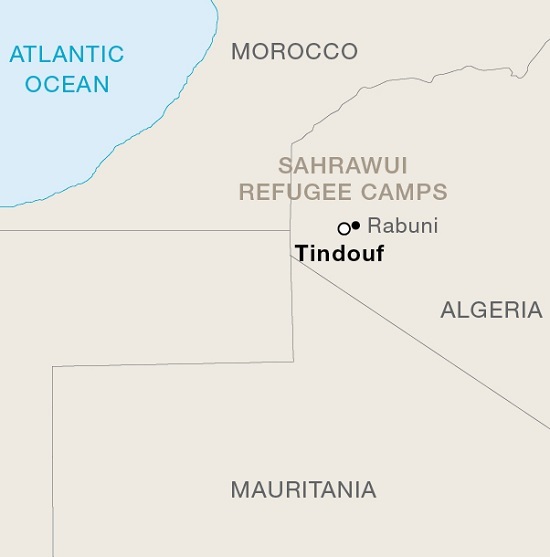 The Eyes of the Sahara program started at the end of 2001 when medical and surgical expeditions were sent to the Sahrawi refugee camps in Tindouf (Algeria). Due to the extreme poverty in the refugee camps, there is high incidence and prevalence of eye disease. 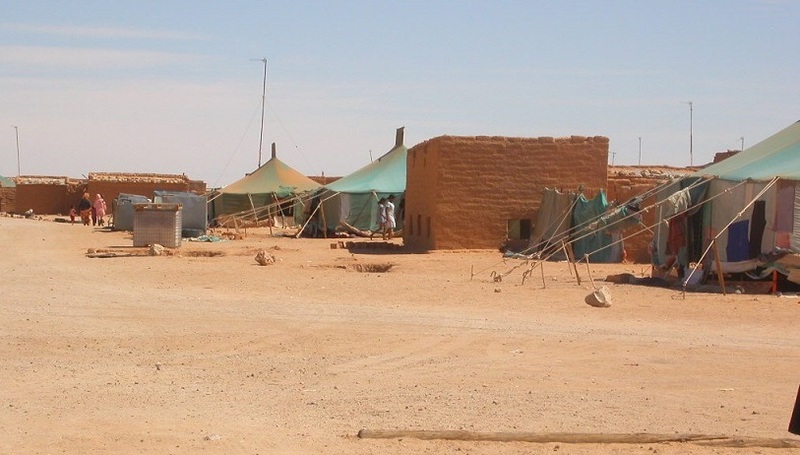 Sahrawi refugee camps have a severe lack of skilled health personnel. Thus, since 2002, Eyes of the world has been actively supporting the Ophthalmic Care Department of the Sahrawi government. 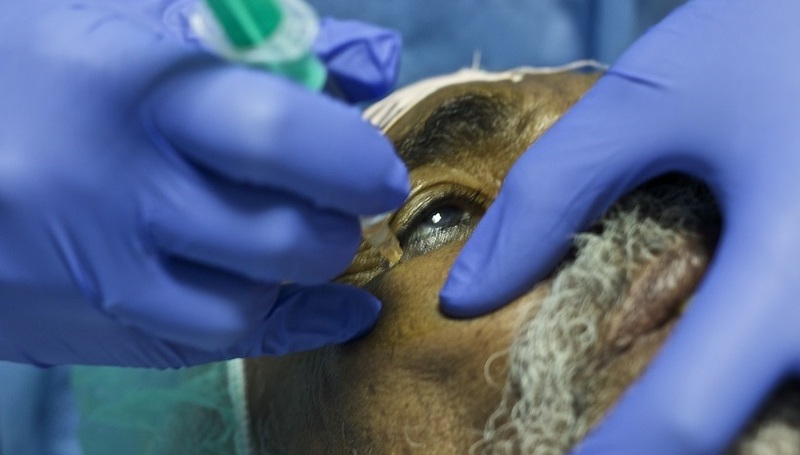 Improving and guaranteeing people’s eye care has always been the goal of Eyes of the Sahara. Therefore, several actions have been organized and carried out such as periodical specialized health personnel expeditions; periodical specialized pediatric expeditions; developing an ophthalmic care record system in order to follow-up on patients; and organizing informative talks on eye care and eye disease prevention measures. The ophthalmologists in the camps can only visit patients in more remote areas when they travel with our medical and surgical expeditions. 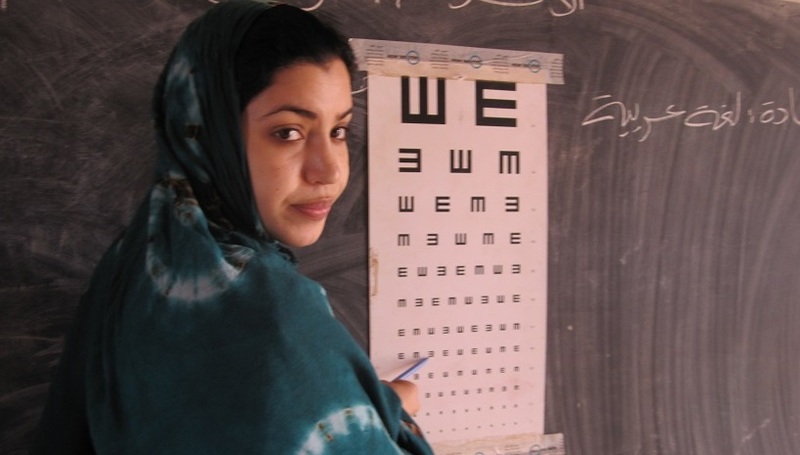 However, between 2007 and 2009, Eyes of the world succeeded in transferring the management of eye care services to a Sahrawi ophthalmologist trained in Barcelona. Ever since the project started, Eyes of the world has promoted the specialized training of all health professional, including physicians, nurses, and the Ministry of Health staff. Furthermore, Eyes of the world supported the training of 14 opticians—10 ophthalmic technicians and 4 optics lab technicians. These opticians are currently working at the 7 ophthalmic care centers that have consultation rooms, and in 3 optical workshops in Smara, Dajla and Bola. In addition, most of the equipment and supplies needed in the ophthalmic care centers and optical workshops have been donated by Eyes of the world. Also, as a result of the courses in optometry, optical equipment, and basic eye care taught by Eyes of the world volunteers, local personnel have been able to refresh and improve their ophthalmic care knowledge. It is also worth noting that an Eyes of the world volunteer ophthalmologist traveled to the camps and trained local professionals for six months between 2016 and 2017. Another one of the objectives of the program is educating the general population on eye care, with a focus on the most vulnerable groups. Thus, Eyes of the world has been working closely with the Sahrawi TV network, and media in general, to further spread basic eye care knowledge. Eyes of the world is currently working on the transfer of ophthalmic care management responsibilities to the Public Health Ministry, and in early 2018, the Ministry hired a local specialist who is fully supported by the Foundation. 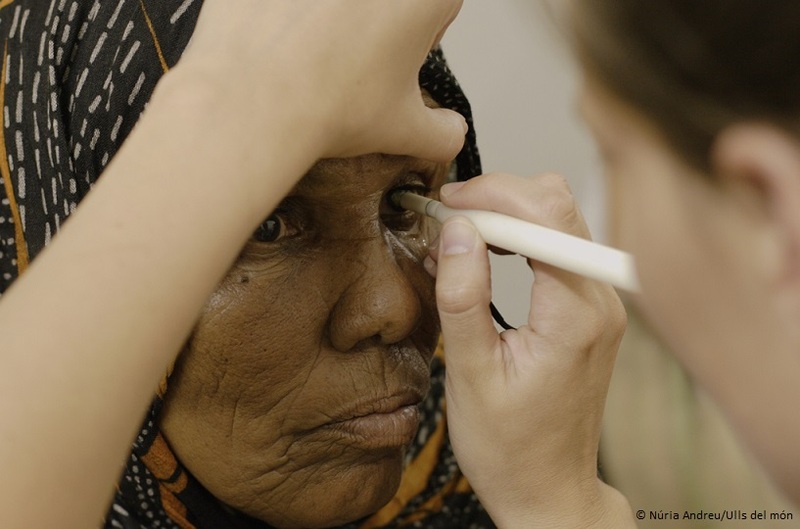 A Sahrawi woman explains how she regained her sight thanks to the work of the Eyes of the world Foundation and the Eyes of the Sahara’s ophthalmic cooperation project. Maimuna recovered her sight after a surgery done by one of the commissions of the Eyes of the world Foundation displaced to the Sahrawi refugee camp at Rabuni. She is one of the many people who has regained sight and improved her quality of life, thanks to the intervention of the commissions that travel in the field, and the professionals trained by Eyes of the world. It is more common for women to suffer from eye diseases in the refugee populations than men, creating a large obstacle as many of these women cannot continue to work. But in Maimuna’s case, like many others, her story has ended with a big smile.